Colon cancer is one of the most common cancers, yet by adhering to screening guidelines and making healthy lifestyle choices, you can reduce your risk. To help protect yourself and your loved ones from the disease, follow these 10 colon cancer prevention tips. 1. If You're 50 or Older, Schedule a Colon Cancer Screening. Then actually follow through with the preparation and the appointment. More than 90 percent of people diagnosed with colon cancer are 50 or older and the average age of diagnosis is 64. Research indicates that by age 50, one in four people has polyps (growths in the colon that can develop into cancer). Getting screened is an excellent colon cancer prevention method. 2. See a Doctor If You Have Any Colon Cancer Symptoms. Talking about bowel habits can be uncomfortable... but it can also save your life. 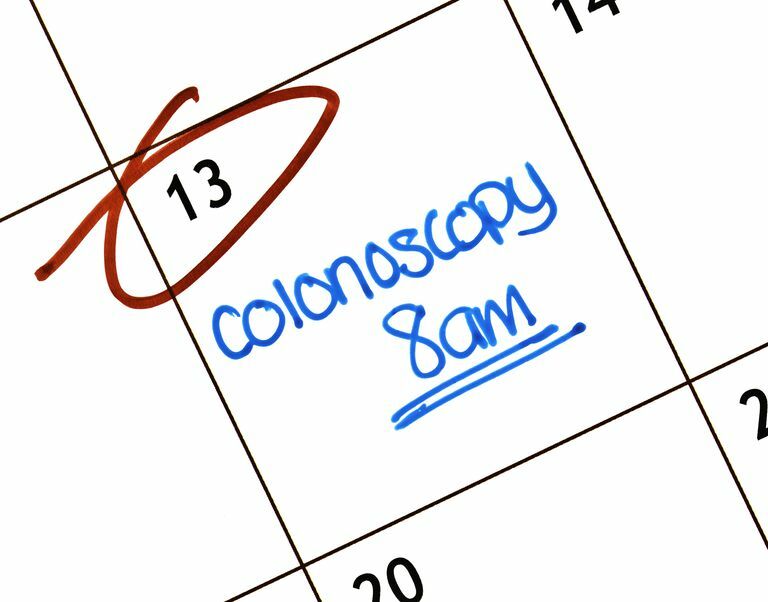 While colon cancer sometimes doesn't cause any symptoms, certain signs should be a red flag to schedule an appointment with your doctor. These include any persistent change in bowel habits, thin stools, cramping, unexplained weight loss, and blood in the stool. Diets high in fat and cholesterol (especially from animal sources) have been linked to increased colon cancer risk. High-fiber diets, however, have shown a protective effect. Learn more about what you can eat to prevent this disease. All other things equal, obese men seem to be more at risk for colon cancer than obese women. Also, certain body types seem to influence risk more than others. Studies indicate that extra fat in the waist (an apple shape) increases colon cancer risk more than extra fat in the thighs or hips (a pear shape). Research indicates that exercising can reduce colon cancer risk by as much as 40 percent. Exercise also tends to reduce the incidence of other risk factors for colon cancer, like obesity and diabetes. 6. Learn Your Family Medical History. Did you know your family medical history can impact your chances of developing colon cancer? When discussing colon cancer prevention with your doctor, remember to mention if family members have had polyps or colon cancer. Other cancers (such as stomach, liver, and bone) may also be relevant. 7. 7. Talk to a Doctor About Your Personal Medical History. As you may have guessed, discussing your own medical history is extremely important when it comes to colon cancer prevention. Sometimes we feel like doctors aren't interested in what we have to say, so we try to answer their questions as quickly and succinctly as possible. But it's advisable to talk about your health history. Of particular concern are polyps, certain cancers, and chronic inflammation of the bowel, all of which can increase the risk of developing colon cancer. People who carry genetic mutations linked to hereditary colon cancer are the most likely to develop the disease. If someone in your family has FAP or HNPCC, or if you're of Ashkenazi Jewish descent, you should seriously consider adding genetic counseling to your colon cancer prevention plan. Yes, it's a risk factor for colon cancer too. Smoking increases your risk for two main reasons. First, inhaled or swallowed tobacco smoke transports carcinogens to the colon. Second, tobacco use appears to increase polyp size. Is radiation really relevant to colon cancer prevention? The short answer is yes. According to the U.S. Nuclear Regulatory Commission, ​"any amount of radiation may pose some risk for causing cancer and hereditary effect, and that the risk is higher for higher radiation exposures." Hou N, Huo D, Dignam JJ. Prevention of colorectal cancer and dietary management. Chinese clinical oncology. 2013;2(2):13. doi:10.3978/j.issn.2304-3865.2013.04.03.